Hymer motorhome dealers UK wide, especially ones that are approved by the manufacturer, are best placed to advise you on the merits and drawbacks of individual models. This helps ensure that you get the most cost effective deal for your budget when buying a new or used model for you and your family to enjoy. Make sure you tell your motorhome dealers Sussex based how much you have available to spend; how many people will be using the vehicle; and where you intend to go with it. They’ll then have a good idea of the kind of motorhome that best suits your situation. 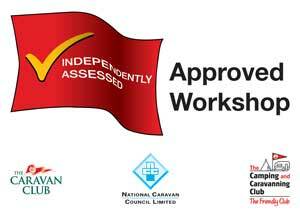 What Aspects Should You Look For When Evaluating Motorhomes UK Wide? While Hymer motorhome dealers UK wide can advise on the technical specifications, there are a few aspects personal to you and your family that you should consider yourself. It’s worth being very pragmatic at the buying stage as it’s likely that with such a large financial outlay, you hope to enjoy this motorhome for many years to come. Firstly, check out the toilet and shower. Look at the spaces available to determine whether they’ll be accessible by all your family and that they’re useable, practically speaking. Larger or taller members of the family, or those with mobility problems, may be especially unable to make effective use of smaller spaces such as these. Next, look at the cooking facilities available in the model that you’re considering. Is a microwave enough for your needs or do you want to upgrade to something like the Hymer Exsis for sale UK wide that incorporates an oven with grill? What Else Should You Consider In A Hymer Van For Sale UK? Beds are another key consideration. Obviously, you’ll know how many you need, but it’s important to try them out for size and comfort before you commit to purchasing a particular Hymer van for sale UK based. Good dealers allow you to lie on them for a short while to see how they fit with your needs. And the final recommendation is not to be swayed by the look of the interior itself. Consider your storage needs while you’re away. If you’re planning longer trips or travelling with an entire family for instance, then look at how many cupboards, drawers, and other spaces there are where you can stow away everything you’ll be taking. It’s not just clothes and food you want to think about. What about any sports equipment, cooking utensils, pushchairs, toys, and so on that you may need while you’re away? Living in clutter and tripping over items all the time does not make for a relaxing holiday! Premier Motorhomes Is One Of The Most Accommodating Hymer Motorhome Dealers UK Wide! At Premier Motorhomes, we understand that buying a motorhome is a major decision and we’re determined to help you get it right. With over fifteen years of experience, we have a reputation as one of the most helpful and friendly Autotrail, Chausson, Dethleff and Hymer motorhome dealers UK wide. Visit our showroom and we’ll spend the time you need demonstrating the features, benefits, and potential drawbacks of each vehicle, based on your individual needs and wishes. You can make a fully informed decision before parting with your hard-earned cash. Visit our website at https://premiermotorhomes.uk or see our showroom at Premier Business Park, Main Road, Birdham, Chichester in West Sussex, PO20 7BU. Alternatively, call us with queries on 01243 210030.